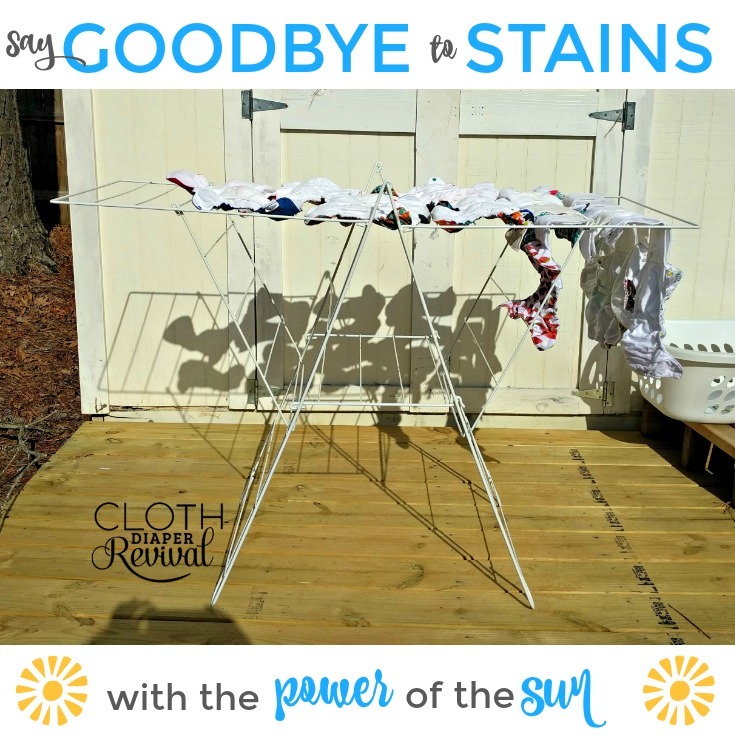 Cloth Diaper Revival: Say Goodbye to Cloth Diaper Stains with the Power of the Sun! 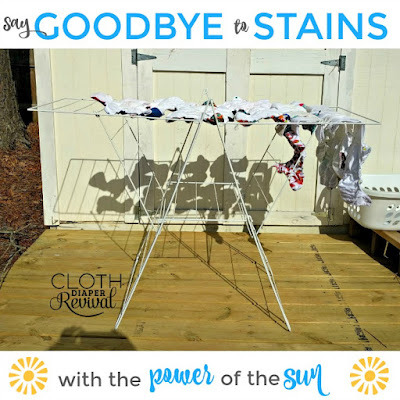 Say Goodbye to Cloth Diaper Stains with the Power of the Sun! Have you discovered the magical powers of the sun? 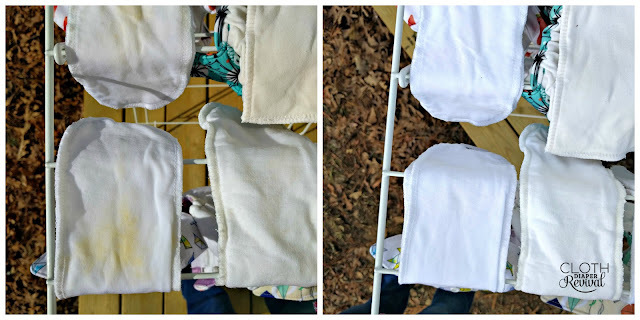 If your cloth diapers have stains, there's no need for bleach or other harsh chemicals. Just a little time in the presence of the sun's magical rays is all you need! You'll want to start with clean diapers. Pull them straight from the wash and make sure they are wet! Lay them in the sun for a few hours. If you aren't happy with the results, you can hose them down and let them stay out a bit longer. The key is to keep them wet for optimal results. You can even sun on cloudy days! The sun still works through the clouds, but it definitely works the best on super sunny days. If it's too cold and you are worried about having your diapers outside, find a window in your home that gets great sun exposure. 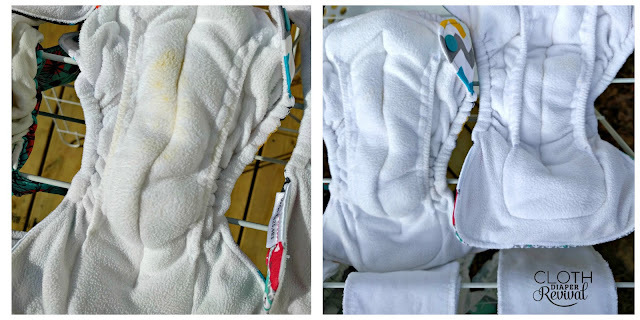 In just a few hours, you can erase stains and have beautiful white diapers again! 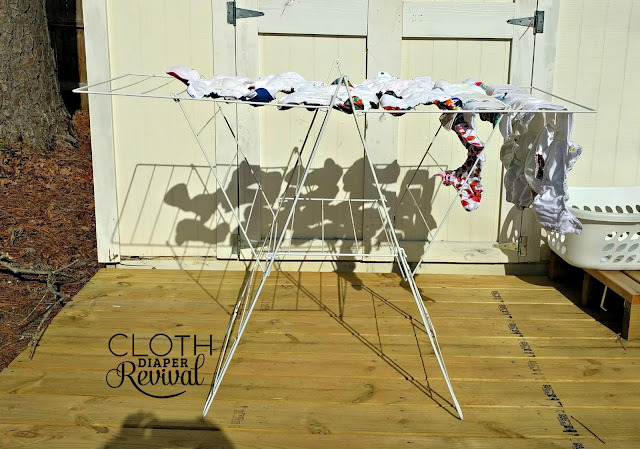 If you're looking for a new drying rack, I love the FROST drying rack from Ikea. It's great for indoors and outdoors and can hold a ton of diapers! That's exactly how we do it. It's incredible the difference the sun can make!